O God who revealed to Saint Justin in the sufferings of the Cross, the great wisdom of Jesus Christ, grant that through the pleadings of Your Martyr and our Patron we may overcome the many errors that surround us and that our faith may grow ever stronger. In deep humility we pray O Lord for the strength to imitate Saint Justin in his constant efforts to make known the riches of the Faith to his fellowmen. Grant us the grace to be ever mindful of the many blessings we have received from You. Through Christ Our Lord. Amen. St. Justin was born of Greek parents around 100 A.D. at Nablus (ancient Shechem), Palestine, in what is today known as the West Bank Israel area. He came from a pagan family. As a youth, he was well educated and very interested in Greek philosophy. He possessed an insatiable desire to learn the truth, wherever he could find it. This lead him to study the works of his famous Greek ancestors – Socrates, Plato and Aristotle. He also tells us that he held several conversations with an elderly Christian person down by the lake side. There he learned of Jesus and many of the Old Testament people of faith, especially Abraham. It was reported that St. Justin had a deep admiration for the martyrs. He was fascinated that they believed in a person and a cause so much that they were willing to die rather than deny. At the age of thirty-three, after years of studyihg the various systems of philosophy, he became converted to Christianity by way of Platonism. Thereafter, his whole life was devoted to the propagation and defense of the Faith in Asia Minor and at Rome. Though he retained the garb of a philosopher, he is the most important Christian Apologist of the 2nd century and the first of whom we possess written works. These are the two Apologies (to the Emperor Antoninus and the Roman Senate) setting forth the moral values of Christianity, and the Dialogue demonstrating its truth to the Jew Trypho. They are invaluable for the information they contain about the Christian Faith and practice at that time. We find in St. Justin a rare combination of faith and reason and, being a writer, he was able to formulate his beliefs making use of both. He was a teacher and philosopher by profession. He heard the good news proclaimed by the disciples of our Lord and was eventually converted to the new faith at the age of 30. After he became a Catholic, he devoted his philosophical talents to showing the basis in reason for acceptance of the Christian faith. He opened the first School of Christian Philosophy at Rome shortly thereafter where he drew the attention of the authorities because of his new teaching and faith in the risen Lord. His reputation for Christian zeal grew because of his writing in defense of the Catholic faith. He directed two “Apologies” to the Emperor Antoninus and to the Roman Senate. An edict of the Emperor Antoninus lessened the persecution of the Christians. While bearing witness to the Faith in Rome, he was denounced as a Christian, most likely at the instigation of a cynic philosopher whom he had outshone in a public debate. Rather than deny and renounce his faith, the more he publicly and openly professed his faith and fervor in teaching Christian Philosophy. The next emperor however, imprisoned St. Justin and condemned him to death. While teaching in a school in Rome, he was arrested and ordered to sacrifice to the gods. Rather than deny and renounce his faith, he chose to be beheaded when he replied: “No right-minded man forsakes truth for falsehood.” When asked if he was a Christian, he emphatically replied: “Yes, I am a Christian.” He was finally beheaded in defense of the Faith and because of his teachings about the Lord. He died a martyr on April 13, 165 AD. The six others who were with him remained steadfast and they all attained the palm of martyrdom. 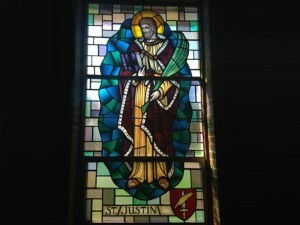 Saint Justin’s feast day is celebrated throughout the whole of Christendom on the 1st of June. 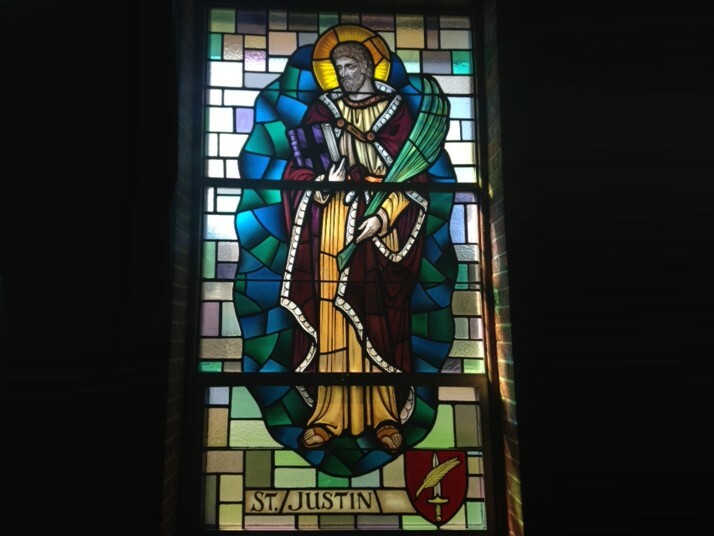 Saint Justin serves as a model for us today, an example of an educated lay person, confident and strong in faith. He inspires us to use our power to know and understand in order to strengthen our inner spiritual life.